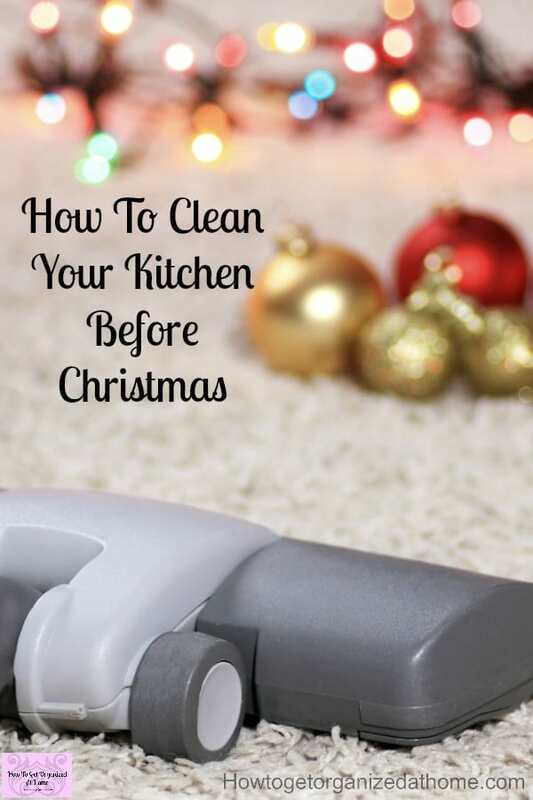 Do you want to know how to clean your kitchen before Christmas? Without rushing and doing it all in one sitting, but spreading it out over different times according to your schedule? 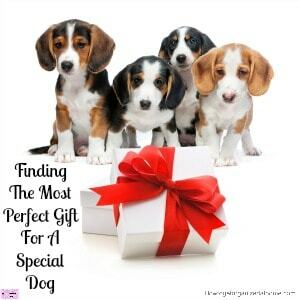 It’s possible and it isn’t as difficult as you might think! If you can see the positives in my method you might include these in your schedule on a more regular basis and keep your kitchen clean! This is why planning is so important! What you don’t want to do is panic! 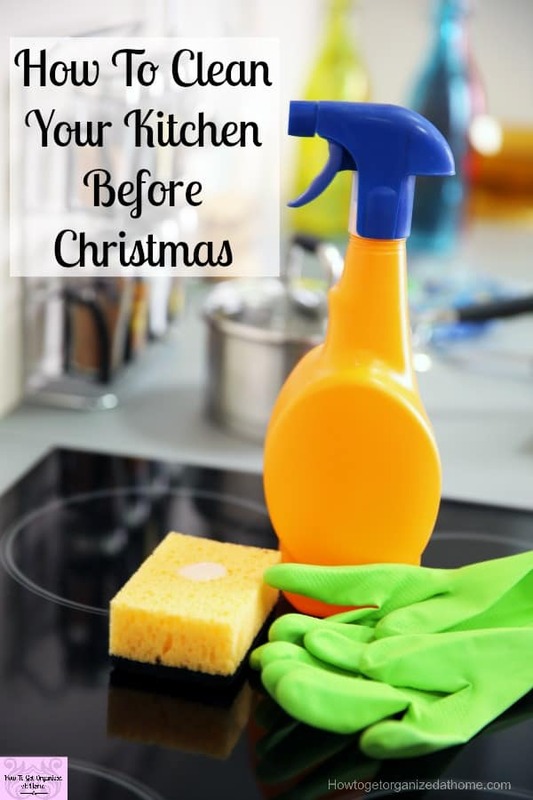 There is time to clean your kitchen before Christmas and it isn’t a mad rush. I like the slow and steady approach, it often means that I actually get more done, than if I rush and end up starting three tasks and getting none of them completed! One reason why I avoid multitasking as I’m no good at it! A Plan is important! You need to decide what you want to clean! Having a list helps you get those tasks completed rather than just staring around your kitchen, not sure what to do first. Write down all the areas that you want to clean and what you need to clean them! Number these in the order of priority that you should do the tasks. 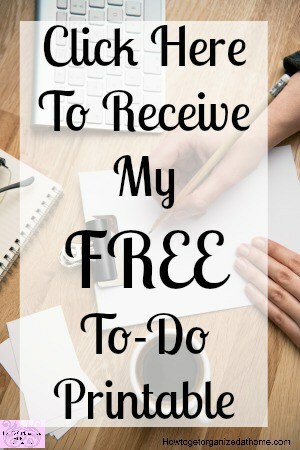 This helps to highlight the most important items and the areas that you really want to focus on and, at the end of the list, are the areas that you do want to tackle but not at the expense of those first items on the list! 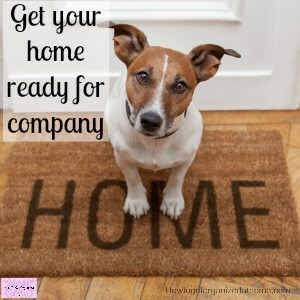 Create time in your schedule where you can fit in short cleaning sessions! I dislike cleaning for more than half an hour at a time, I get bored and easily distracted, and this often means the task goes unfinished or I rush and I miss the details. I like to schedule cleaning time into my day but in half-hour sessions. If it’s in the plan for the day it gets done! Procrastination is a killer of even the best plans, if you let it into your life it will not stop until it has destroyed everything you want to do. I know this might sound over the top, but it is the truth; if you have something planned and you don’t want to do it, try doing just 5 minutes of the task and see if that helps to get you moving in the right direction. Procrastination is the biggest time killing and time-wasting activity that you can do, all it will achieve is frustration and anger towards yourself. What you need to clean in your kitchen will depend on the items that you have and the time you have available. This is why it is important to plan and to mark down the priorities; it makes it easier if you have to cross off items because of life getting in the way! You only have a set amount of time per day, you can’t increase this, I know sometimes I would like to, but unfortunately, we are all constrained to the amount that we can physically do in any one day. You must ask yourself questions about your kitchen to work out what you need to clean. Clean the oven, I break down into three different sections and I know that each section won’t take me the full half an hour to complete and that is OK I like finishing before my time limit, it makes me feel good! I have a great post on How To Get A Ceramic Hob Clean, it tells you how I clean my hob, I also have one for cleaning the oven too! Deep clean the cupboards, this I will break down into about 4 different sections as I find this the most boring of tasks! I take everything out of one cupboard at a time! Clean the fridge, I like to add this in here, this is an area that can’t be cleaned enough! Clean the top of the fridge, this I hate because I have to use steps to reach and it annoys me the most, but it quickly becomes dusty. Clean the light fitment, this gets dirty a lot, but that is because of the environment. Be careful when you clean light fitments, follow the manufacturer’s guidelines on the best cleaning option. I wipe down the bulbs too, they can quickly get covered in dust and grease, it reduces the light they can produce. Deep clean the floor, I want to get down and scrub the floor, under the units too! This I know will take longer than half an hour, but it is my favourite cleaning task so I really don’t mind this one. Wipe down the walls and tiles! It will surprise you how much dirt and dust can accumulate on walls. Don’t forget the door frames too! I take this list and I break it down into my day planner, spreading these jobs out until the big day. 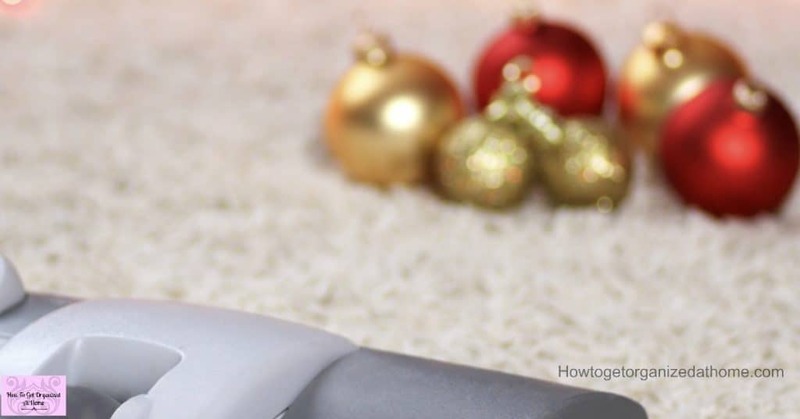 You mustn’t procrastinate, this will make the tasks harder you will need to fit the cleaning sessions closer together to ensure that your list is complete. What you use to clean your home is a personal choice! The more I look into cleaning and the ingredients that are used the more I want to use natural products. I have a great article where I talk about choosing the right products for you! Here’s the link! Microfibre cloths, I find these are the best for all cleaning and they come in so many different colours! My shark floor steamer! It is amazing at its job! I love cleaning with white vinegar and bicarbonate of soda too! Therefore, it is important to consider the 3 main points, plan the tasks that you want to do, create the time to actually do the tasks and then ensure that procrastination doesn’t take over and ruin any plan that you might have created. It is easy to think about the tasks, even plan the tasks but completion doesn’t happen unless you follow the plan and commit to the actions you must take. 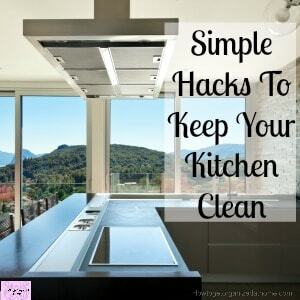 Need more help on kitchen cleaning?